Need Training & Support? Got a question? Not sure how to do something? We offer training & support in the comfort of your own home to assist you with any questions or queries you may have. 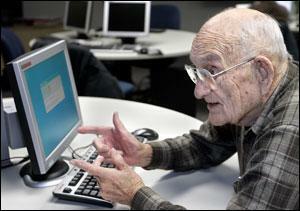 From operating systems to programs & hardware we can provide training & support to all ages and abilities. The IT industry changes about every 6 months and it’s almost impossible to keep up. Whether you are a beginner or even a seasoned IT guru, you will often come across a problem, program or device that you’ll need help with. Sometimes you may feel a little overwhelmed but we can explain things in a very simple, easy to understand language. Whether you need to learn how to use your new phone, set up an email on your tablet, put a book on your e-reader, set up your TV, edit a photo/video or even add borders in excel, we offer a complete training and support service to make your IT transition a little smoother and easier. We find that most people learn better when they can watch how something is done and then immediately do the task themselves. Once you have done things a couple of times it becomes second nature. Purchase Assistance – We discuss your needs & recommend the suitable product. We can order it for you or go with you to the shop to help with price negotiation & purchase. Set Up & Installation Service – We will install and set up your new equipment at your place & customize it for your requirements. Personal Assistance – We provide training and support at your residence with your equipment at a time suitable to you. We can set up parental controls on your devices to control/monitor what your children are using their technology for, and what information they are able to access online.